These are the words of vocalist Randy Burlingame that accompany the advance release for Traditions’ upcoming debut EP Cycles, due 11th March. They’re big words from a relatively small band, but it’s refreshing to see artists who openly label themselves as pop-punk acknowledge the genres limitations and in doing so try to find their own way past them. So many bands within the genre play similar songs in similar ways and as a result a large chunk of those bands end up swept under the rug in a musical sense. Traditions do things a little differently, and hopefully doing so sees them take the strides that Decade and Knuckle Puck have over the past few months. The EP begins with ‘Ten Days’ and marks a clear signal of intent, being insatiably catchy and dynamic. From the opening line it bounces and writhes with energy, mixing clever drumming with rising melodies and instrumentals, even throwing in a quick guitar solo of sorts towards the end. It’s a solid opener that grabs a listener and makes them stick around for the tracks that follow, the first of which is the more traditional ‘Progression / Regression’. Although it isn’t quite as adventurous it still offers a lot, spinning a story about a relationship, with reflective lyrics matching the songs title (‘I’m doing my best to stop living in my head and more in the present tense / and I finally found the balance’). The gang vocals on this song are a great addition, and the EP is filled with nice touches like these, adding variety and sing-along moments to each track. Final two tracks ‘Polarity’ and ‘Eyes Of A Man’ opt for a heavier approach, or heavy by the genres standards, not quite matching Four Year Strong heights. The former of the two wastes no time, diving straight in with melodic guitars and breakneck drumming before dropping off as a hazy guitar riff churns behind the verse. These final tracks bring in harsher vocals, mixing them in with Burlingame’s cleaner delivery as both guitarist Matt Cyphers and bassist Jack Dunphy contribute vocally, with each bringing something different yet welcome. Cries of ‘There has to be another way’ ring out over poppy breakdowns as cymbals crash and melodies shine, making for the EP’s strongest moment on its strongest track, ‘Polarity’. ‘Eyes Of A Man’ caps off Cycles in fine form, layering vocals over catchy bass and punchy drums, all whilst featuring some of the EP’s more personal lyrics. As it fades out you’re definitely left wanting more, and it’ll be interesting to see where Traditions go from here because on their debut they seize every opportunity to impress and do so frequently. The instrumental side of Traditions’ music is also excellent, making use of differing styles, some of which are more aggressive. Powerful guitar riffs often accompany enthusiastic drumming, whilst bass takes a back seat for the most part. It’s a formula that works, and Cycles rarely lets up bar a few brief respites. The lyrics are also solid, showcasing fine storytelling and pensive thoughtful lyrics, and despite not being the most positive they sit well over an upbeat backdrop, reminiscent of The Wonder Years. Every aspect of Cycles is great, but on tracks like the shorter ‘Debt Of A Son’ everything comes together brilliantly as the song serves up hook after hook, both vocally and instrumentally. Cycles reminds me of old-school pop-punk in a sense. There’s hints of New Found Glory in the meatier riffs of ‘Debt Of A Son’ and ‘Ten Days’, whilst the vocals as a whole are very Through Being Cool Saves The Day. 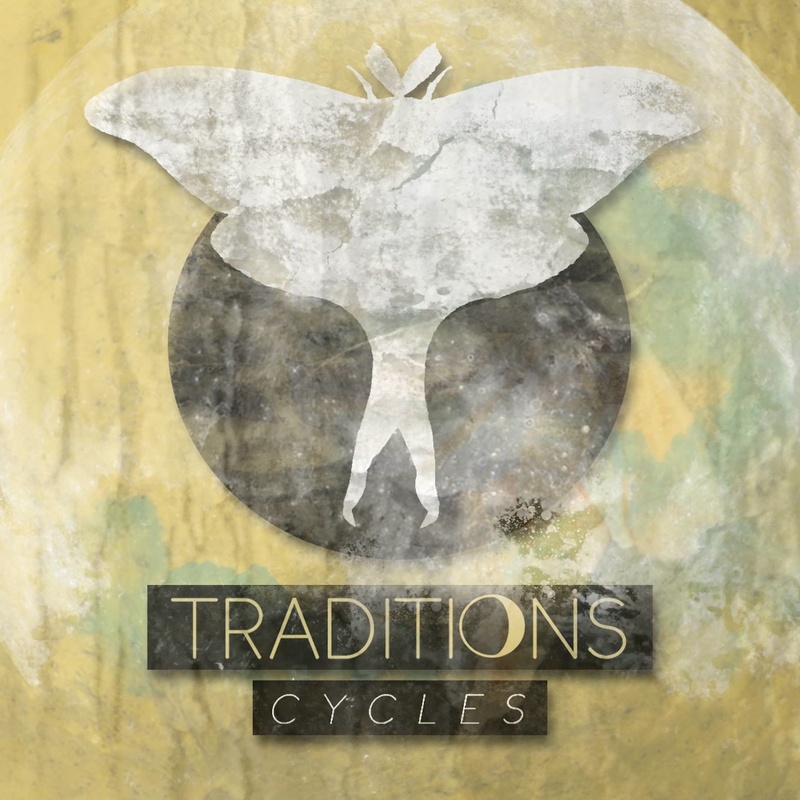 It means that Traditions find a comfortable balance between the old and new on Cycles, and as a result there’s much more substance to their debut, which also makes it much more rewarding for a listener. There’s a depth to it that releases of this nature often lack, be it through the heavier vocals of the closer or the noticeable above and beyond contributions of each member. If I hadn’t made it clear already Cycles is very, very good. Each song impresses in its own distinct way and as a whole it’s a debut EP absolutely brimming with promise. Given enough attention upon release Cycles could easily propel the band onwards and upwards as it’s one of the best debut releases I’ve heard from the genre in a while, which is saying something considering it seems to spew out new artists on a seemingly daily basis. All being said, Traditions should easily shine through.